Reducing tax liability is a top priority for every corporate tax department. But that priority must be tempered by tax compliance obligations. Increasingly complex business relationships and transactions—often accompanied by increasingly complex tax planning—can leave even the most sophisticated tax practitioners wondering how the Internal Revenue Service will react to a claimed tax position. Will the IRS challenge the position? And, if it does, will the IRS pursue a civil audit seeking back taxes and potential monetary penalties? Or will the IRS pursue a criminal investigation and seek to impose criminal sanctions against the company or related individuals? Criminal prosecutions, even those resulting in acquittal, can destroy the reputations of companies and the lives of individuals involved. Thus, when evaluating, implementing, or defending a transaction and its tax consequences, tax professionals must take care to avoid conduct that the IRS may view as suspect. This article provides insights into how the IRS evaluates transactions for criminal potential and provides practical tips for avoiding criminal scrutiny. Tax avoidance is perfectly fine. As the U.S. Supreme Court said more than eighty years ago, “[t]he legal right of a taxpayer to decrease the amount of what otherwise would be his taxes, or altogether avoid them, by means which the law permits, cannot be doubted.”1 Tax evasion, however, is quite different. Section 7201 of the Internal Revenue Code provides significant criminal sanctions—including up to five years in prison—for felony tax evasion.2 Tax evasion, as well as other criminal tax offenses, requires the government to prove that a taxpayer intentionally violated a known legal duty.3 Accordingly, a taxpayer’s mistake about what the tax law requires will not support a criminal conviction. And a taxpayer’s belief that his or her tax position was legitimate should negate criminal intent. So, it’s easy, right? If you believe your tax position is consistent with the law, then you should face only civil sanctions. If, however, you know your tax position violates the law, then you may face criminal sanctions. But is it really that simple? The one thing all tax practitioners can agree upon is that tax law is not always clear. And if the law regarding a certain tax position is not clear, how could the IRS ever prove—as required for a criminal prosecution—that a taxpayer knew what the law required and intentionally violated the law? 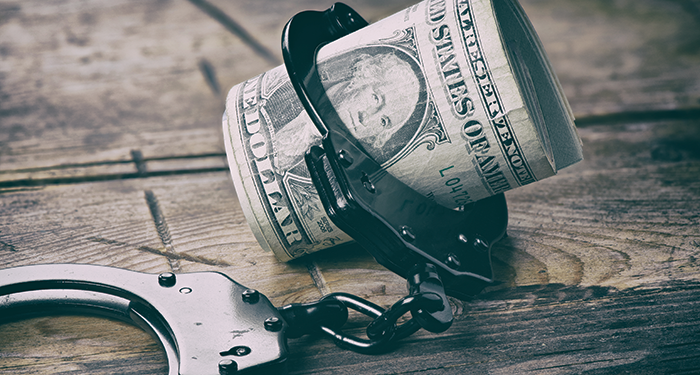 Although every case is different, when evaluating whether a taxpayer should face criminal sanctions the IRS typically looks closely at the taxpayer’s intent before, during, and after the tax benefit was claimed. And the IRS typically does not limit its review of intent to the sole question of whether the taxpayer actually believed the claimed tax position was correct. Rather, in almost all cases, the IRS evaluates the taxpayer’s intent regarding all of the various transactions and activities surrounding the claimed tax position. The IRS’ evaluation of intent beyond the mere question of the legality of the claimed tax position can lead to seemingly inconsistent treatment—two separate but similarly situated taxpayers might engage in the same transactions resulting in the same tax benefits, yet one may face criminal sanctions whereas the other faces a mere civil audit. Increasingly complex business relationships and transactions—often accompanied by increasingly complex tax planning—can leave even the most sophisticated tax practitioners wondering how the Internal Revenue Service will react to a claimed tax position. Caterpillar, of course, was not the first corporation to achieve a tax benefit via related overseas entities. Nor will it be the last. And without question numerous other U.S.-based multinational companies have overseas structures similar to Caterpillar’s. While we may never know exactly why Caterpillar faced criminal scrutiny, we can point to certain conduct that will likely increase, or decrease, the likelihood that the IRS will look beyond mere civil sanctions. The IRS maintains a lengthy list of taxpayer activities it considers indicative of fraud.6 The IRS views these so-called “badges of fraud” as “first indicators” of fraud worthy of additional scrutiny. Criminal charges are only warranted if, upon additional investigation, the “first indicators” of fraud become “firm indicators” of fraud.7 So what are some of the IRS’ badges of fraud that taxpayers should avoid? Where tax rate differences are a factor, the IRS views the allocation of income or deductions between related taxpayers as indicative of fraud.8 Of course, practically all international tax planning involves, to some degree, the allocation of income and expenses in order to reduce tax liabilities. So does this mean that the IRS views all international tax planning as fraudulent? No, but it does indicate that the IRS views international tax planning as particularly susceptible to fraud. And it also indicates that fraud in the context of complex international transactions is a high priority for the IRS. The IRS’ listing of income allocation as a badge of fraud cautions those taxpayers who have implemented, or intend to implement, international tax planning structures to proceed with great care to avoid potential criminal scrutiny. Not surprisingly, the IRS views inconsistent statements by a taxpayer as indicative of fraud.9 Although it is relatively easy for an individual taxpayer to provide consistent statements to the IRS, maintaining consistency in the corporate context may be challenging. Multiple individual employees and outside advisors are often involved in designing, evaluating, and implementing complex business transactions in a manner that achieves tax savings. And such transactions may take several years to develop and implement. The chances of individual employees providing inconsistent statements to the IRS increases dramatically where the issues and facts are complicated and recollections are imperfect due to the passage of time. To reduce the potential for inconsistencies, when facing an IRS inquiry it is important to gather contemporaneous documentation of the particular transaction at issue, including its business purpose and any specific tax advice received. Contemporaneous documentation, such as emails, meeting notes, or memoranda, can be used to refresh the recollection of key witnesses the IRS may seek to contact and decrease the likelihood of inconsistent statements. Doing so should also ease concerns and relieve feelings of trepidation employees might naturally have if asked to provide information to or meet with the IRS. Absent a retraction and a convincing explanation, providing demonstrably false statements during an audit is perhaps the most important factor the IRS considers in evaluating whether or not to pursue criminal sanctions. In the context of complex business transactions with significant tax consequences, multiple individuals are often involved in the planning and implementation phases of the transaction. And many individuals are often involved only in discrete aspects of the transaction and have only limited insight into other aspects. Likewise, institutional knowledge of the transaction may be hampered by employee attrition. Although intentionally false statements are rare, in this context inadvertently incorrect statements are not, and they can lead to distrust from the IRS. To avoid this potential problem, prior to providing information to the IRS taxpayers should thoroughly vet and understand all of the facts and circumstances of a claimed tax position, including the facts and circumstances of any related transactions. During an audit the IRS often puts tremendous pressure on taxpayers to provide information and documents quickly. Taxpayers, however, will be better served by a thorough and deliberate approach to providing information to the IRS, rather than rushing to meet IRS audit deadlines, which are often arbitrarily imposed. While certain conduct will increase the chances that the IRS will launch a criminal investigation, other conduct may dissuade the IRS from doing so. Transactions with significant tax consequences should be undertaken with an eye toward possible IRS scrutiny. Seemingly insignificant steps undertaken when evaluating and implementing a tax-favorable transaction can pay significant dividends down the road if the IRS has any inclination to initiate a criminal investigation. The IRS increasingly challenges tax-favorable transactions by asserting such transactions serve no legitimate business purpose. When business purpose is challenged by the IRS, taxpayers often provide a general business rationale for the transaction in question. In many cases, however, there is little documentation or support for the business rationale, much less contemporaneous documentation or support. And the IRS typically views additional support developed during the audit as suspect. As they say, an ounce of prevention is worth a pound of cure. Sound tax planning should anticipate issues that may arise during an audit and address such issues accordingly. Undertaking a thorough and professional analysis of business needs and concerns prior to evaluating the potential tax savings that may result from a particular transaction will serve you well in the event of an IRS audit. Although the IRS may ultimately disagree with the analysis, it will be difficult for the IRS to justify a criminal investigation when a taxpayer has undertaken a business-driven analysis prior to undertaking the challenged transaction. opinion. But not all tax opinions are created equally. A tax opinion is only as good as the facts its author relies upon. And garbage in often equals garbage out. The IRS considers the “failure to make a full disclosure of relevant facts” to a tax professional as a badge of fraud.10 So if the IRS believes the facts supporting a tax opinion are suspect or incomplete, then the opinion will likely do more harm than good. An independent tax professional should provide the tax opinion. Many proposed tax reduction plans include an opinion by a tax professional affiliated with the sponsor of the plan. Many other tax opinions are drafted by a tax professional with previous experience evaluating practically identical transactions. Not surprisingly, their opinions often include practically identical boilerplate language in support of the transaction. In fact, the IRS has supported criminal tax fraud prosecutions based on alleged boilerplate language contained in numerous tax opinions drafted by respected tax professionals. To ensure that the IRS will view your tax opinion as credible, it must be authored by an independent tax professional who is unaffiliated with the transaction and who has no preordained opinion regarding its validity. It is unlikely that all documents and information requested by the IRS will be helpful to a taxpayer during an audit. In fact, some documents may be detrimental to a taxpayer’s claimed position. At the end of the day, however, the Internal Revenue Code gives the IRS the authority to issue summonses for documents and testimony that can be enforced in Federal District Court.11 Because it is unlikely that documents or information initially withheld from the IRS will remain so, in most circumstances a taxpayer is best served by fully cooperating and producing all requested documents. The sting of any detrimental documents can be lessened by producing them to the IRS along with any relevant explanations and any other documents that may be helpful to the taxpayer’s position. The IRS considers a taxpayer’s failure to produce requested documents and failure to answer questions as an attempt to obstruct the examinations.12 It is far preferable to suffer the consequences of voluntarily disclosing potentially detrimental documents than to resist disclosure, raise the suspicion of the IRS, and then be forced to produce the documents through a court order. Even when accompanied by harmful documents and information, full cooperation can lend credibility to a taxpayer’s defense and will lessen the likelihood of a criminal referral. Many tax positions are never challenged by the IRS, and many audits result in no additional tax liability. But if faced with a challenge and the likelihood of substantial additional liability, taxpayers should take great care to protect against the possibility of a criminal referral. While rare, criminal referrals can be devastating. Fortunately, by taking appropriate precautions and avoiding certain suspicious conduct identified by the IRS, taxpayers can greatly minimize their risk. See Gregory v. Helvering, 293 U.S. 465, 469 (1935). 26 U.S.C. Section 7201 (“Any person who willfully attempts in any manner to evade or defeat any tax imposed by this title or the payment thereof shall, in addition to other penalties provided by law, be guilty of a felony and, upon conviction thereof, shall be fined not more than $100,000 [$500,000 in the case of a corporation], or imprisoned not more than 5 years, or both, together with the costs of prosecution”). Cheek v. United States, 498 U.S. 192, 201 (1991) (“Willfulness, as construed by our prior decisions in criminal tax cases, requires the Government to prove that the law imposed a duty on the defendant, that the defendant knew of this duty, and that he voluntarily and intentionally violated that duty”). The Coca-Cola Company & Subsidiaries v. Commissioner, U.S. Tax Court Docket No. 031183-15. Ally Marotti, “Years of federal scrutiny lead to Caterpillar HQ raid,” Chicago Tribune, March 3, 2017. Internal Revenue Manual (IRM) Section 25.1.2.3 (06-09-2015), Indicators of Fraud. IRM Section 25.1.1.3 (01-23-2014), Indicators of Fraud vs. Affirmative Acts of Fraud. IRM Section 25.1.2.3 (5)(b) (06-09-2015), Indicators of Fraud—Allocation of Income (“Inclusion of income or deductions in the tax return of a related taxpayer, when tax rate differences are a factor”). IRM Section 25.1.2.3(5)(b) (06-09-2015), Indicators of Fraud—Allocation of Income (“Inclusion of income or deductions in the tax return of a related taxpayer, when tax rate differences are a factor”). IRM Section 25.1.2.3(6)(d) (06-09-2015), Indicators of Fraud—Conduct of Taxpayer (“Failure to make full disclosure of relevant facts to the accountant, attorney or return preparer”). 26 U.S.C. Section 7604(a) (“If any person is summoned under the internal revenue laws to appear, to testify, or to produce books, papers, records, or other data, the United States district court for the district in which such person resides or is found shall have jurisdiction by appropriate process to compel such attendance, testimony, or production of books, papers, records, or other data”). IRM Section 25.1.2.3(6)(a) (06-09-2015), Indicator of Fraud—Conduct of Taxpayer (“Attempt to hinder or obstruct the examination. For example, failure to answer questions; repeated cancelled or rescheduled appointments; refusal to provide records; threatening potential witnesses, including the examiner; or assaulting the examiner”).